"He's a regular guy, but he comes to the racetrack and he's a hero!" Magnolia Pictures has debuted the first official trailer for a documentary titled The Last Race, which first premiered at the Sundance Film Festival earlier this year. The doc film profiles an iconic Long Island stock car racetrack and "the tribe of blue-collar drivers that call it home, struggling to hold onto an American racing tradition as the world around them is transformed by globalization and commercialization." This is more than just a simple documentary, merging slick imagery and immersive sound in a unique narrative form. This trailer features some intense footage, taking us right into the middle of the action both on & off the racetrack. A raw slice of Americana, captured beautifully by the filmmakers. Described by Sundance as an "evocative portraiture turns the raceway into a theater of catharsis while the track’s owners struggle to maintain an American tradition." Give this a watch. 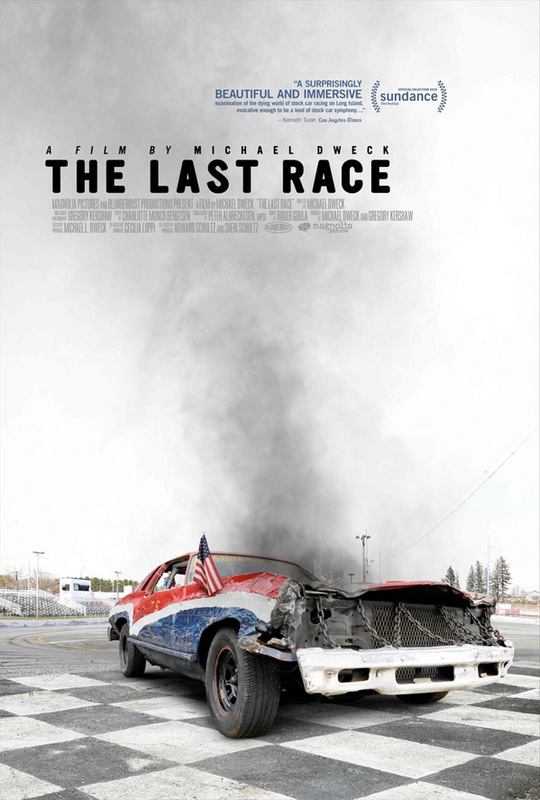 The Last Race is a cinematic portrait of a Long Island, NY stock car race track as its 87 year-old owners struggle to maintain an American racing tradition in the face of a real estate development boom. The film merges image and sound in a unique narrative form to bring the audience into the world of grassroots racing culture and explores a story that subtly grapples with questions of blue collar American identity that have taken on a profound relevance in the current political era. The Last Race is directed by American filmmaker Michael Dweck, a visual artist / photographer making his feature directorial debut with this film. This first premiered at the Sundance Film Festival earlier this year. Magnolia will release Dweck's The Last Race in select theaters + on VOD starting November 16th later this fall. Who's interested in this doc?